With the first single pulled from his forthcoming album, "You-Topia" flourishing well since it's unveiling, T.K. Other Realm is ready to continue preparing the masses for what more is to come. 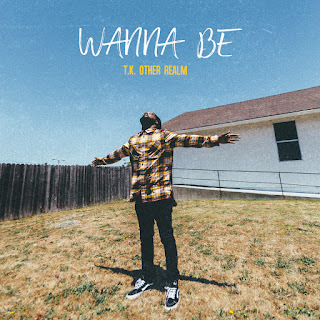 Today, he releases a follow-up record titled "Wanna Be". The first half of the new drop is a tribute to our white oppressors who glorify how people of color have assimilated to European racial bias, stereotypes, and agendas. Towards the end of the track, T.K. begins to touch on the Rebellion. Throughout the record, he chants "Hell Naw" to represent all of the ancestors rising up to awaken our true version of self, stimulating power to all of our pineal glands. The message in this particular track is a councious one. Wake up folks. The revolution will indeed televised.